I was thinking about doors tonight. Y'know, doors weren't always around. 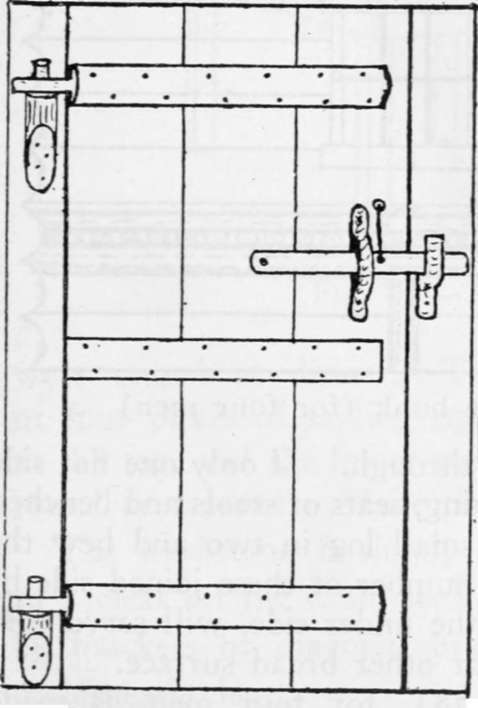 At some point, someone invented a door, and that had to be a huge advance. Cavemen probably didn't have doors, but I bet they wanted them. The cavewomen were probably always complaining about sabertooth tigers and dire wolves wandering into the caves, and they'd say, "Hey! Og! Another sabertooth got in today and I had to chase it out with a stick. Can't you do something to put a thing in front of this opening so that doesn't happen? And by the way, all the air conditioning is getting out." Maybe the caveman dragged some branches across the opening. Maybe not. I don't know. I'm not sure if it counts as a door if there's no hinge and no knob. And if it wasn't invented for caves, at some point civilization started. Was the door ahead of civilization? Was it behind civilization? Perhaps the invention of the door is really a sign that civilization has occurred. Once you have a door, all sorts of good stuff happens. Vandals and visigoths can't get in. Flies can't get in. You can score with your cavewife or babyloniwife in relative privacy. It doesn't rain on your floor when the wind blows. Doors are really a key to the whole concept of home and hearth. Maybe you have to have an actual house before doors can be invented. Maybe it doesn't work with caves. Maybe some babyloniwife said to her husband, "Y'know, if we could put some sort of thing in front of this doorway, we wouldn't get attacked by visigoths so easily. Make it so it's easy to move and we can go in and out whenever we went, but the visigoths can't." Of course, she wouldn't have called it a doorway, because that would be premature. It would just be called a "way", or "that hole in the wall over there". Maybe a door has to have a hinge. If the babylonians built screens and set them in their doorways (or screenways) and then picked them up and moved them to go in and out, are those really doors? Or do they have to be attached or moveable or both? It seems like there are lots of ways to define a door. I had a similar train of thought the other day.. but on door knobs. So I looked up the history of door fasteners and it's pretty interesting. Apparently before door knobs, latch strings were all the rage. You put an interior latch on the door then drilled a hole in the door and left the string hanging outside. You could then pull the string in when you were inside to "lock" the door. I've seen a lot of people hook up wooden gates for their back yard like that. Doors are fine. Do you know what I hate? Windows. They are stupid. I get the reason why they are around if it is regards to fire, and an escape from them. But really, if your house is on fire, you can't really dive out of a third story window that quickly. But, other than that, windows have no purpose. I know people like them so they don't get boo hoo depressed but they are a continual waste of money. They have probably contributed for billions among billions of dollars of wasted energy. Billions of dollars in waste of construction. Terrible terrible things that I wish I did not have on my home, especially in the summer. You have to clean them. Costly to replace. Prone to being broken by hail. Easy access for an intruder to bust through and murder you. **** you windows. I wish I could just live in a castle with a god damned gator infested moat around it. I saw the movie. Val Kilmer played Jim Morrison. Woah, woah, woah, woah! I'm supposed to be cleaning them? I like taking pics of doors for some reason. Here is one from the Battle of Lexington historic home and the brick one is from Watkins Mill. The wood one actually has bullet holes in it from the battle. Last edited by Halfcan; 10-17-2017 at 08:41 AM.. Here are some cool ones! Here's one from the first jail in my town. It doesn't look very secure. I imagine they learned as they went along. Cool pic though-what town? When I was in Lima last year, we visited the house of a conquistador. I thought it was interesting because it had two enormous front doors, presumably to hold off Incans or something, but they cut a smaller door inside one of the big doors. 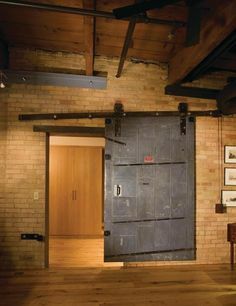 It doesn't seem like it would be that much harder to just open the big door, but maybe it is. I'm a fan of 20th Century Fox but Crystal Ship also a good song. This and Moonlight Drive and if LA Woman comes on while I am driving. I am bound to get a ticket. 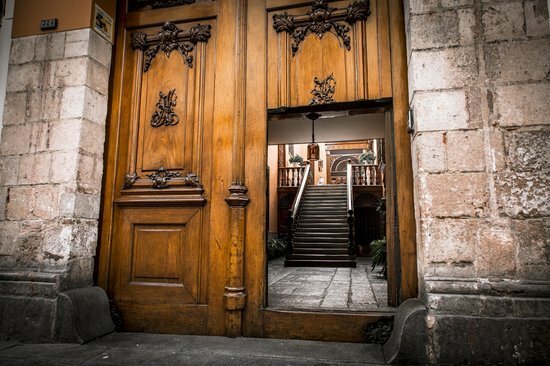 I love doors, especially old ones. At my favorite pub they have these cool old Fire Doors. I loved them so much I found one at an Architectural Salvage place and put it in my bedroom. You cut the rope and it slides shut and saves you from FIRE!